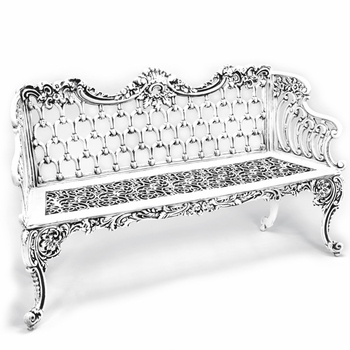 This is the start of perfect rest, reflection and rejuvenation. 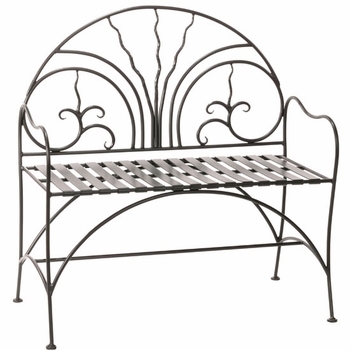 Just what you need for a little "you" time on your patio or in your garden. 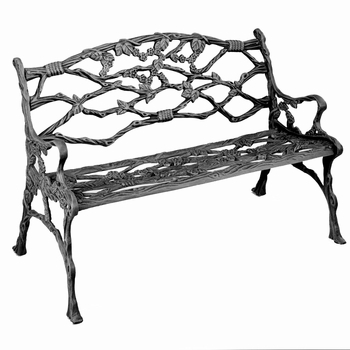 Behold the selection of benches and tree surrounds that beckon one to sit, linger and contemplate. 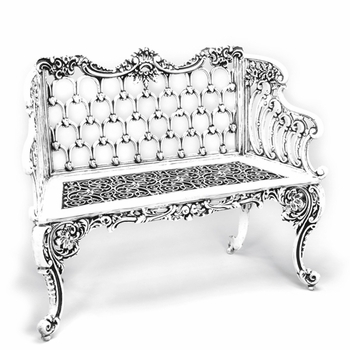 Conversation is optional! 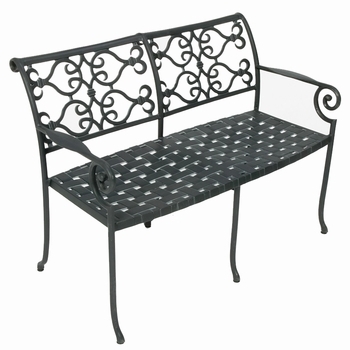 Nothing says stop and enjoy your surroundings quite like a garden bench. 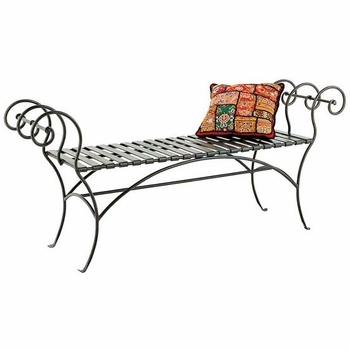 Generally placed in or near a garden, at the turn of a path or as a destination, the garden bench can accent a shady tree or provide a moments rest. 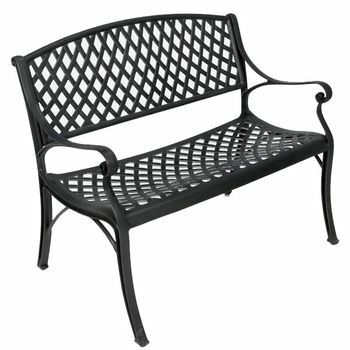 Patio benches, on the other hand, may be situated as a formal welcome when placed near the front door. 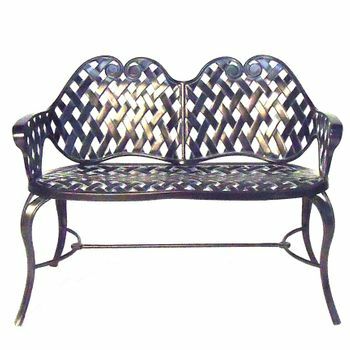 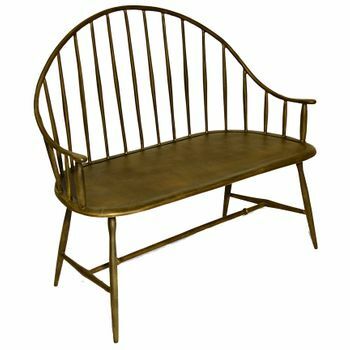 In a remarkable range of shapes and purposes, from basket weave to colonial to geo to twig, each garden or patio bench creates a level of drama all its own. 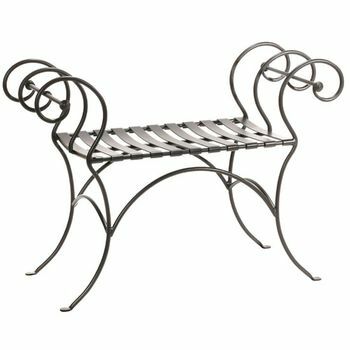 Highly favorable as a steady performer the aluminum bench draws its inspiration from Windsor furniture with its clean lines and historic appeal. 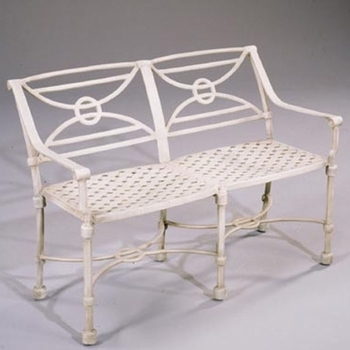 But don't look to pared down paint colors for your aluminum bench finish. 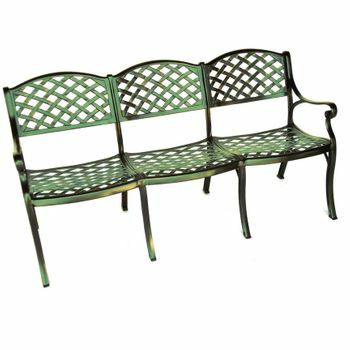 Choose from over twenty selections that range from Dragon Red to Seafoam! 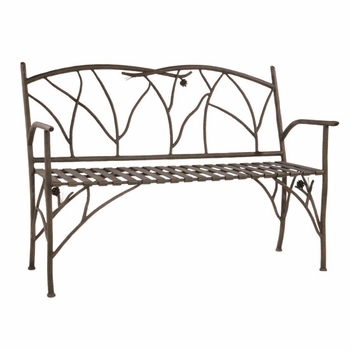 Whether you need a patio bench, a garden bench or a bench that will take guests by surprise you'll find it here. 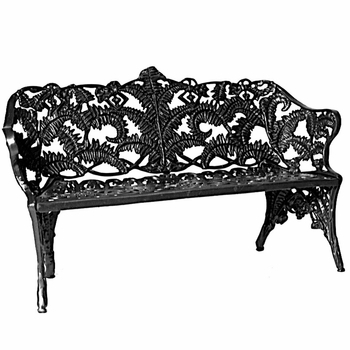 Carve out time for rest, rejuvenation and reflection in the outdoors with our beautiful garden benches. 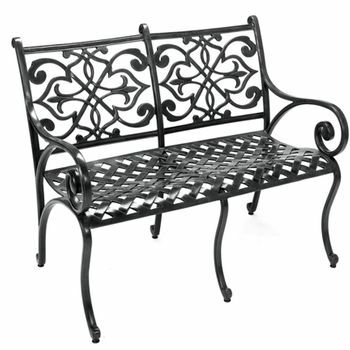 Designed to blend beautifully in any serene setting, each iron or aluminum bench in our selection provides you with the perfect place to get some fresh air. 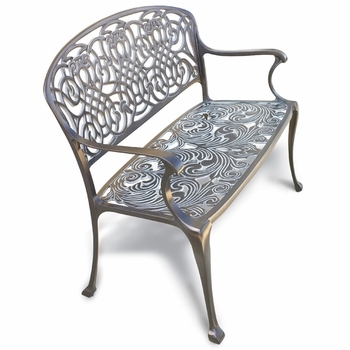 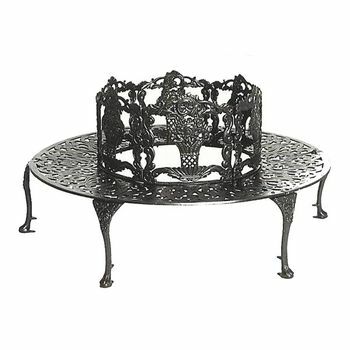 You can use an intricate metal bench as the perfect complement to any English garden or create a place for quiet reflection next to a memorial tree or garden. 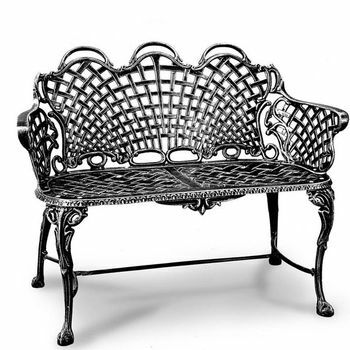 When it is time to relax there is nothing more calming than sitting in the shade of your favorite tree. 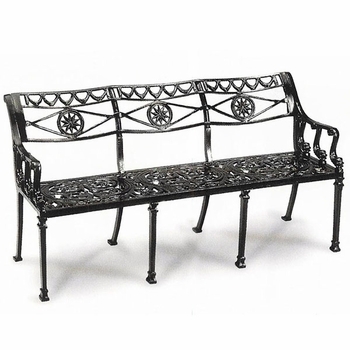 Whether you choose to sit back open a book and get lost in its pages, or find pleasure in watching the endless stories of nature going on around you, our benches will blend beautifully in your tranquil garden. 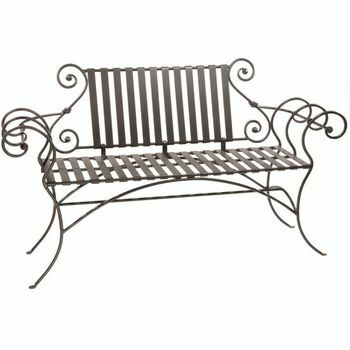 Your patio or porch will welcome a wrought iron bench or iron glider is the perfect place to sit and reflect while enjoying the sunshine or visiting with friends and family.